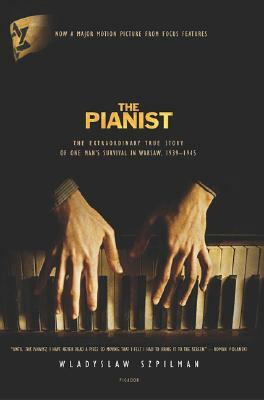 Named one of the Best Books of 1999 by the Los Angeles Times, The Pianist is now a major motion picture directed by Roman Polanski and starring Adrien Brody (Son of Sam). The Pianist won the Cannes Film Festival’s most prestigious prize—the Palme d’Or. On September 23, 1939, Wladyslaw Szpilman played Chopin’s Nocturne in C-sharp minor live on the radio as shells exploded outside—so loudly that he couldn’t hear his piano. It was the last live music broadcast from Warsaw: That day, a German bomb hit the station, and Polish Radio went off the air. Wladyslaw Szpilman was born in 1911. He studied the piano at the Warsaw Conservatory and at the Academy of Arts in Berlin. From 1945 to 1963, he was Director of Music at Polish Radio, and he also pursued a career as a concert pianist and composer for many years. He lives in Warsaw.